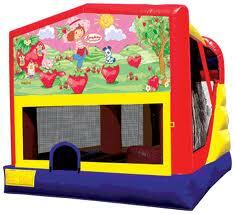 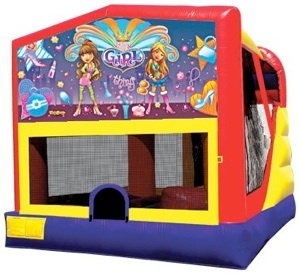 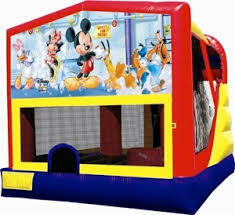 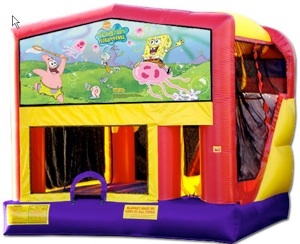 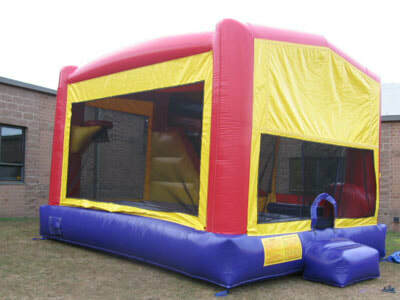 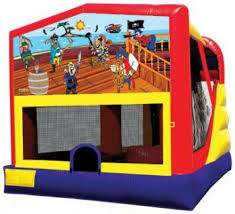 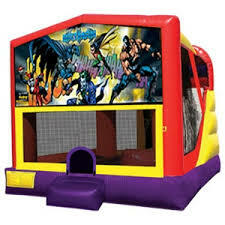 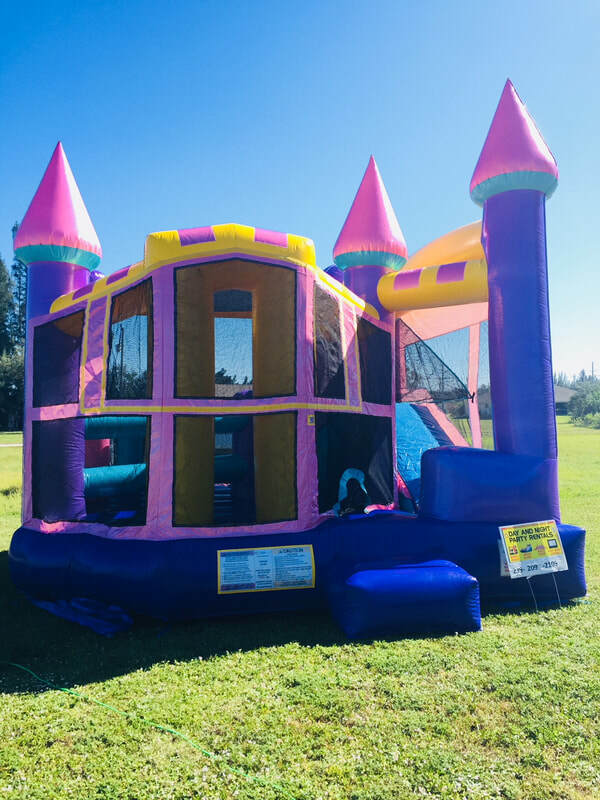 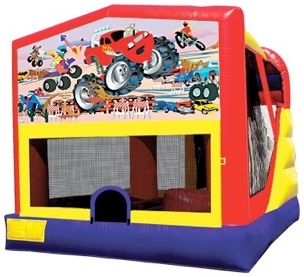 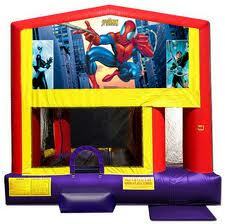 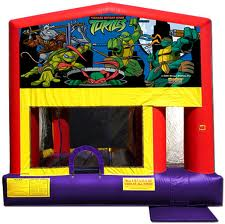 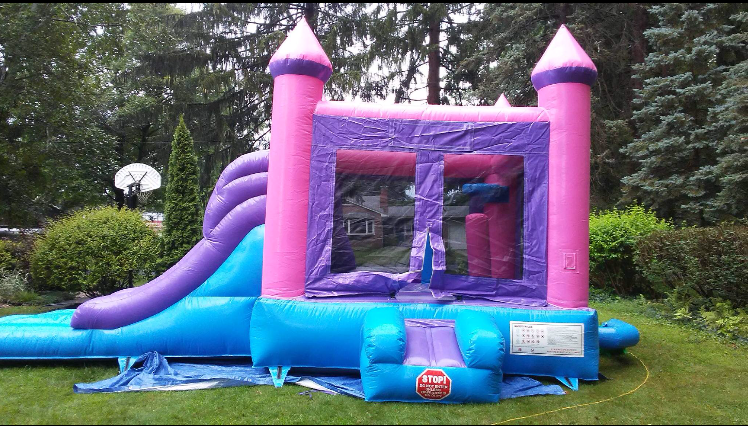 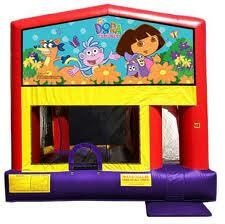 has many different themed combo bounce house rentals to keep your party guests entertained all day. 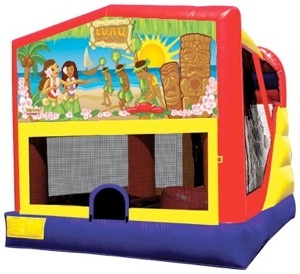 The Combo Bounce House Rental has a large bouncing area, a basketball hoop, a climbing area, and a slide. 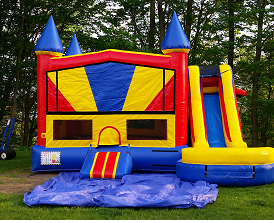 The slide in the combo bounce house can be used as a waterslide to provide your guests with even more hours of fun on a hot summer day.